High rigidity and stability: High quality castings with resin sand molding and twice-timing treatment provides a wide and stable rigid structure. High speed and high precision feeding system: Linear guideways are adopted on X/Y/Z axes which feature sound static and dynamic characteristics of fast response, high precision, low noise and low friction. 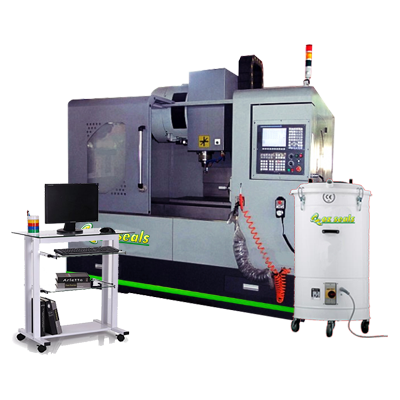 High speed precision spindle unit: P4 grade precision grease-lubricated angular ball bearings supported spindle unit features high speed and high rigidity.